If you think about business artefacts, what pops to your mind? Business cards, big expensive black pens, desk computer, phone with too many buttons. Yes, me too. But I found my online craft business reality was a tad different. 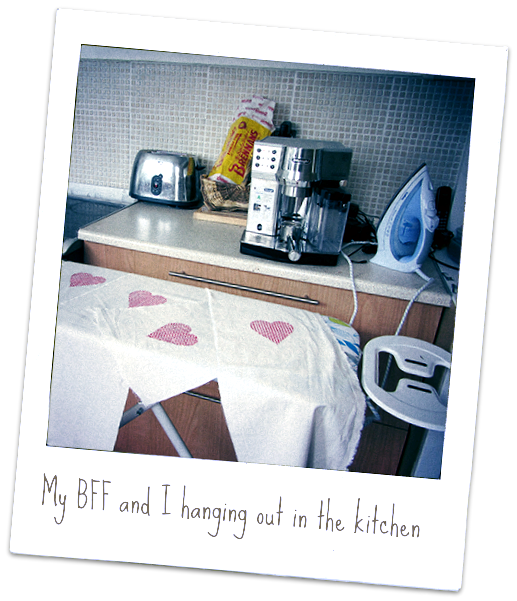 On a daily basis I rather use my camera, my printer and my iron who is now my best friend. I already mentioned the importance of product pictures for doing business online. A good enough camera is a must have. You can also probably get good results with a good phone camera. But I really believe in cameras. It does not have to be a SLR, I have been working with a compact until last week. But you have to be able to play with settings so you can make good pictures, or at least pictures than can be edited. As I design my own patterns I use my printer/copier a lot. You see the facility to increase or decrease size of what you copy is invaluable. Plus I need to print my invoices for my records. I also make my own business stationery, packaging and so on. I couldn’t work without my loyal printer, I would never have thought so when I started. I really mean it. I never iron any clothes before wearing them. I don’t iron unless I dress up. Until a few months ago I didn’t even own an ironing board and my iron was 10 years old. But you know I am in the fabric printing and sewing business. This equals to a lot of ironing, like every day. So I invested in a board and brand new iron, it makes the all process so much easier. I spend so much time ironing I sometime mistake myself for a Grand Hotel maid. But it is not a pain anymore and it also makes me more productive. Still I wouldn’t iron my own clothes, I have a reputation to live up to. If there is one thing to take away from this post: go in and manage your business with an open mind. What you need and works for you is not necessarily the same as the next crafter. And whenever possible get the piece of equipment that will make you life easier, even if you hate it!